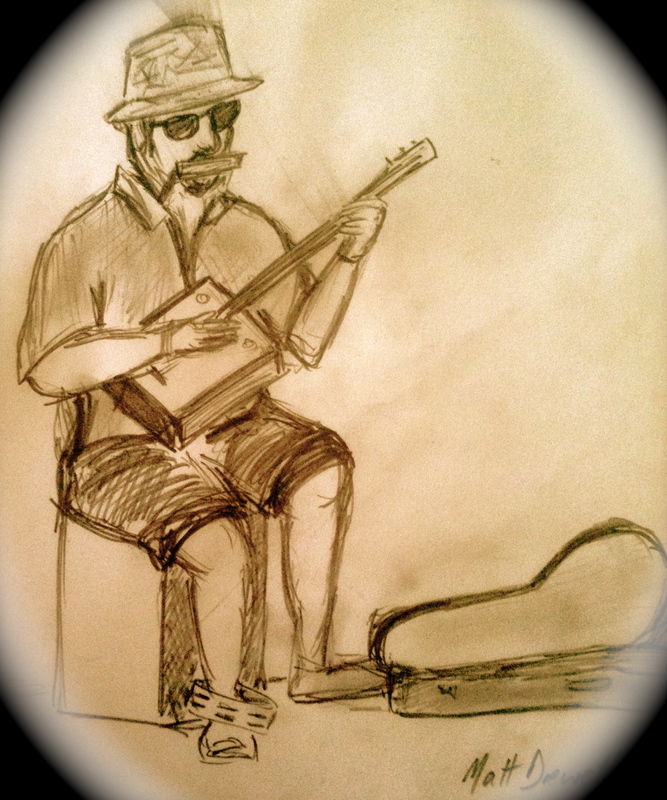 Dave Johnson is a one man band who hails from the Sunshine Coast. He is a multi – instrumentalist who has travelled he world from Maleny to Montreux entertaining crowds at festivals, markets and community events. Dave is a very relaxed guy, happy to chat between sets. Didgera CDs are available at his performances. Check out the dude on the purple chopper bicycle at the end of this little film of Dave performing at Cotton Tree market during the summer of 2011/12. The dude’s name is Matt and he sketches portraits. The week after this performance Captain Tricko was performing at Cotton Tree Market and Matt offered up the sketch you can see here.